Believe that marriage rests on love and compassion? That makes you a pervert. 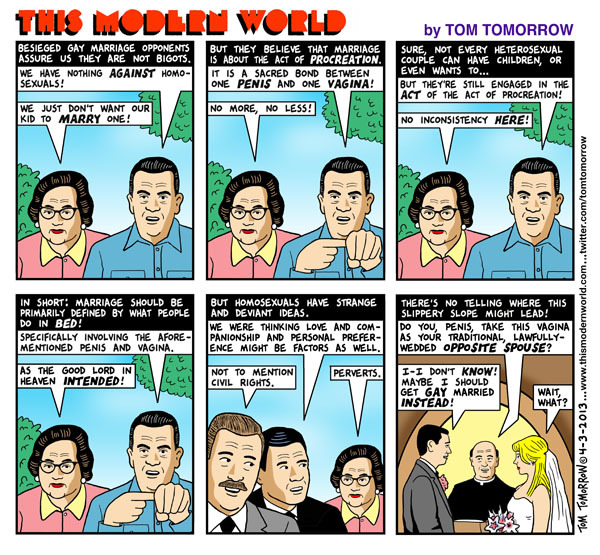 For more partisan logic, check out Tom Tomorrow's recent posts.